The stars on the map annotate places I’ve been. 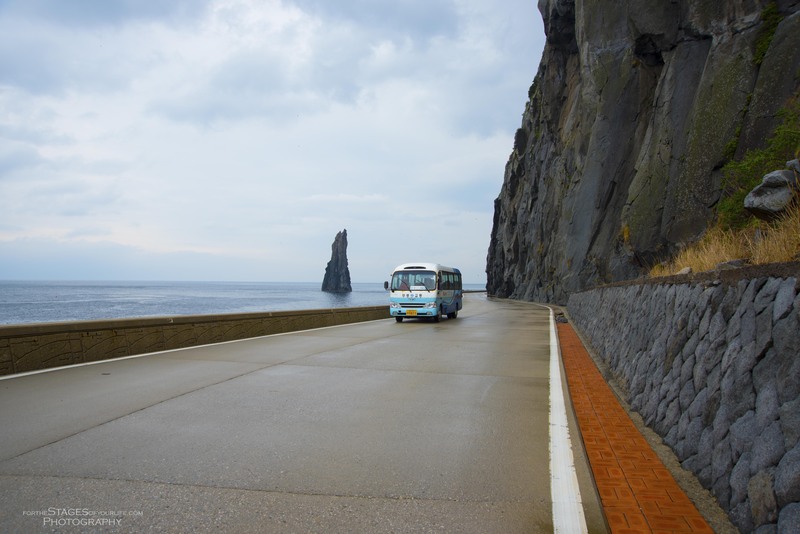 The island is about 217 kilometers from the ferry port in Pohang (one of the terminals that services trips to Ulleungdo) and is located in the East Sea between Korea and Japan. 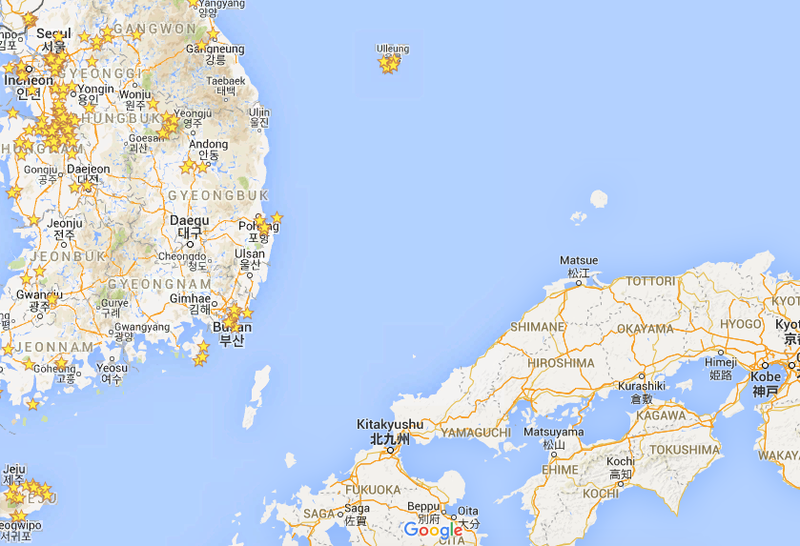 From Pohang, expect a three-hour ferry ride out at 9:50am. This is the only departure time. 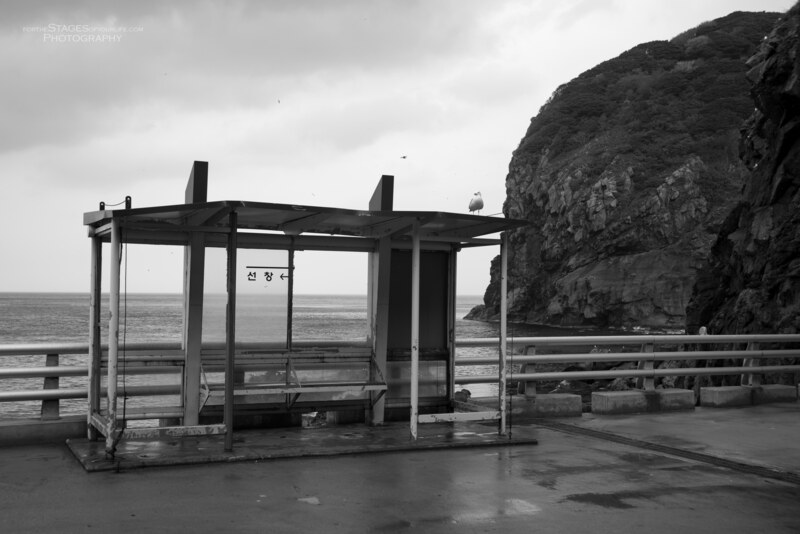 Returns to Pohang are at 3:30pm daily. 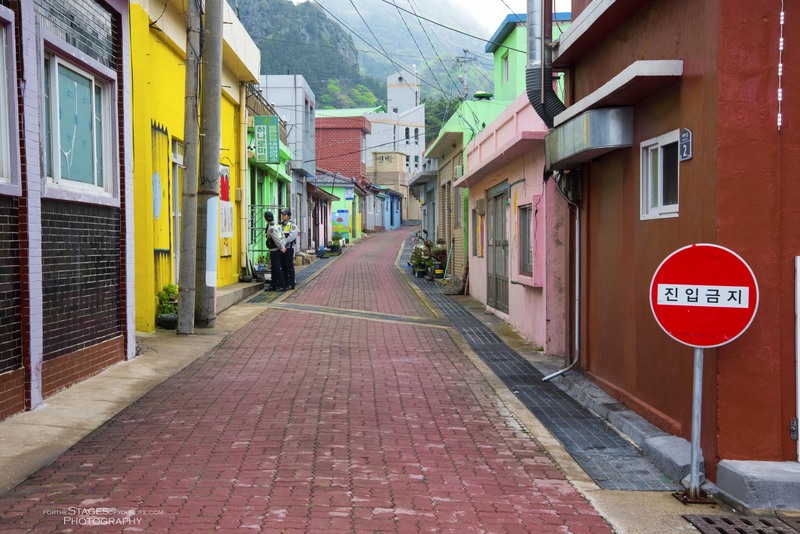 We spent two nights and two days on Ulleungdo, just barely enough time to do everything we wanted to do. I suggest at least another day on the island if you can swing it. There is one road that goes almost all the way around t he island. It takes 1.5 hours to make it to the end of the road, but not because the island is large. The road is small and meanders through scenic scapes that even a man who likes to get from point A to point B will want to stop and soak in. Multiple one lane tunnels wind themselves through the volcanic rock; you’ll have to wait your turn to go through if traffic is coming from the opposite direction. But no worries, you’re on island time here. 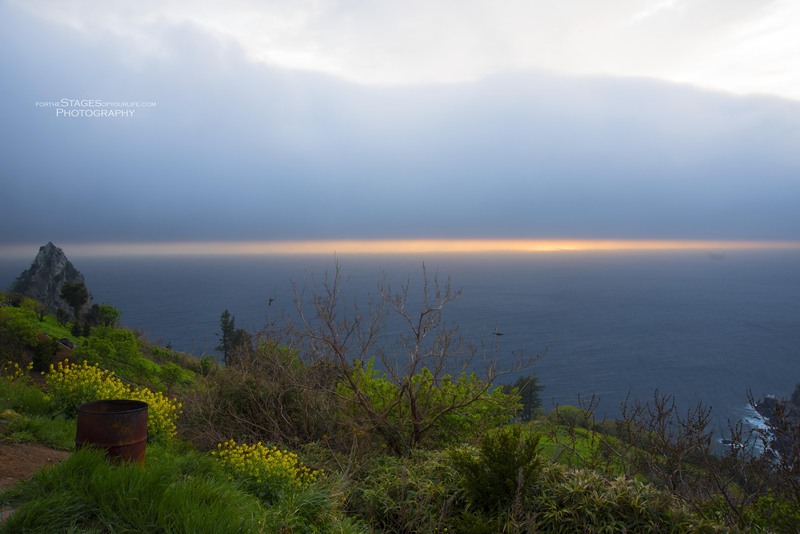 One night we were making our way along this coastal drive when the sun tried peeking out from behind the rolling fog. 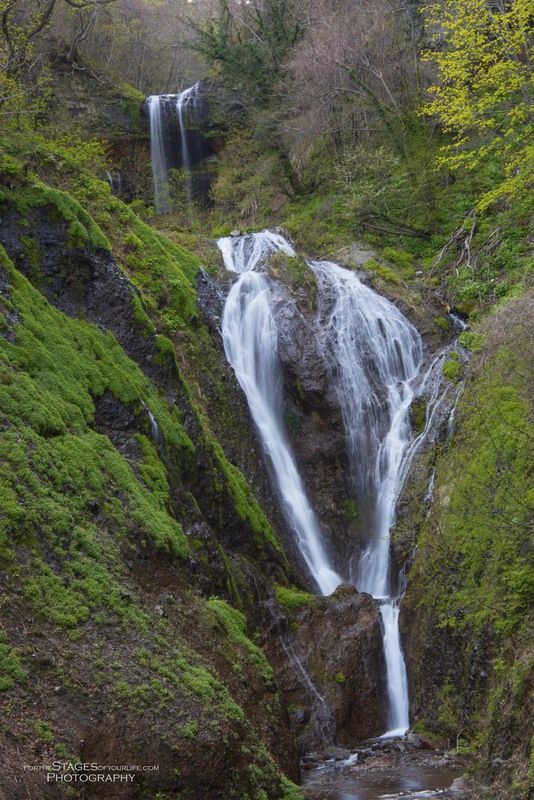 The major, if not only, water source for the folks who live on the island is Bongnae Falls, a three-tiered fall that cascades down 25 meters. There are many overlook points that can be hiked to if you are up to it. We hiked to three of them and the reward at the top was WELL worth it! Here is another overlook photo that was taken in at least 50 mph winds. No exaggeration! We stood at the top and watched the clouds roll over the eye-level mountain peaks like something out of a movie scene. We opened our mouths and let the clouds roll in. My kids thought “eating the clouds” was really something! I tried my best to capture this shot, but I could barely stand up let alone keep my camera steady enough for a long exposure. Plus, no camera can capture the incredible experience we had that night, perched above the harbor. 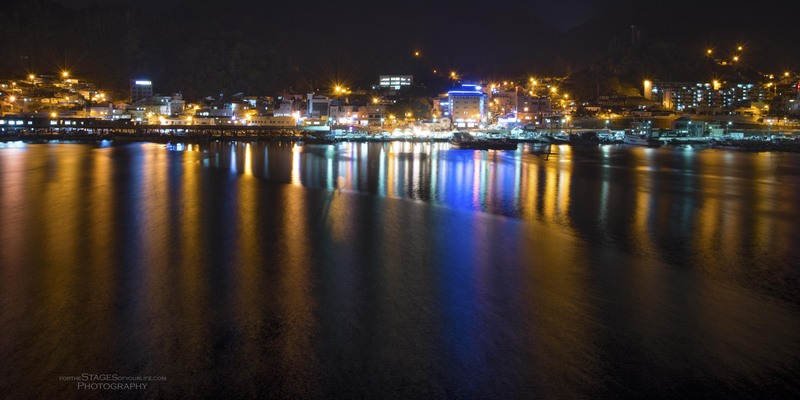 Here is a photo of the harbor at night. 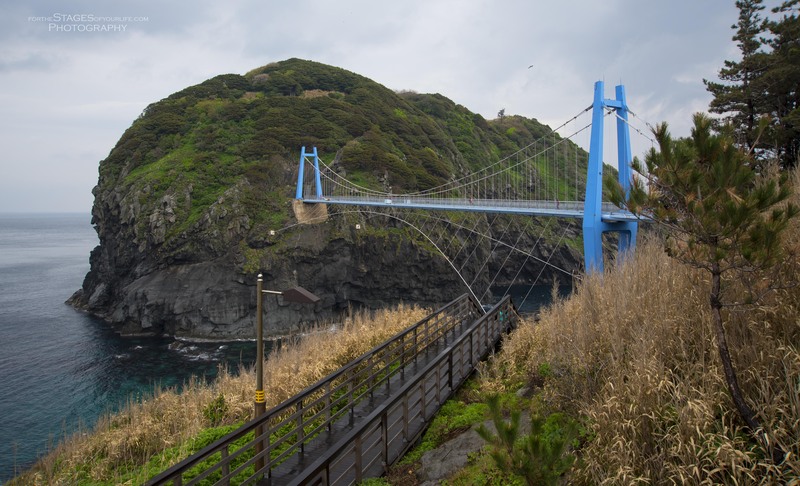 If Ulleungdo isn’t remote enough for you, in 2012 a pedestrian bridge was built to a secondary, and much smaller, island just off the coastline. This little piece of land is virtually untouched as access to it was just opened a few years back. 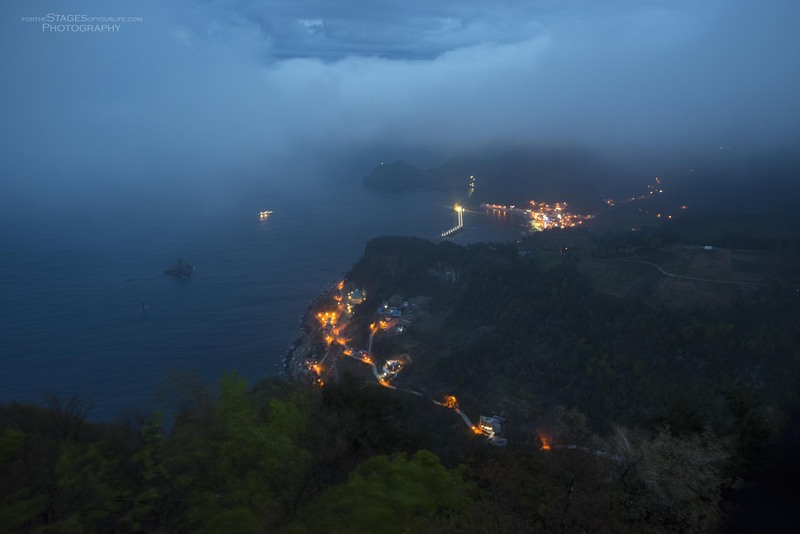 Here are a couple of photos from the small island overlooking Ulleungdo. Instead of taking our own car across on the ferry (possible but tough to do as the vehicle spots are super limited) we rented a car. I recommend renting a car so that you can get around when and where you want to, but if you’d rather, there are taxis and buses available. The color of the water changes from Tide liquid detergent blue to sea green. It’s incredible! 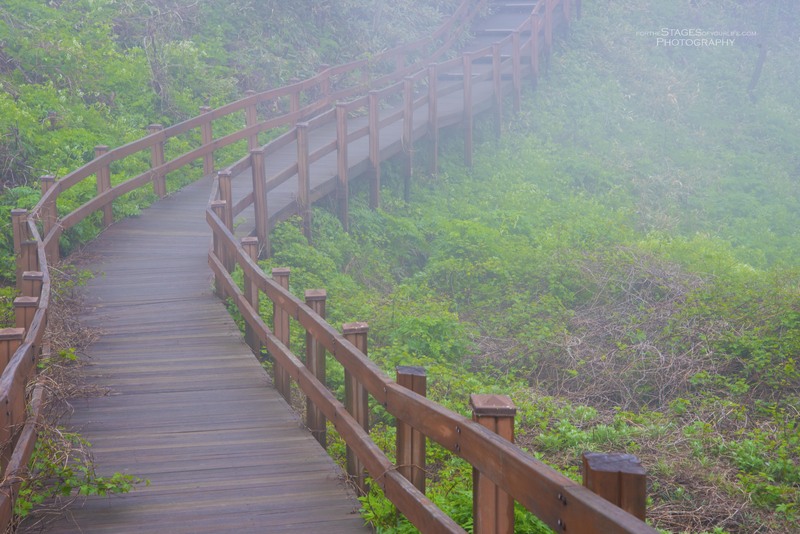 Here’s a path at the top of an overlook covered in fog. Not sure if all the fog we saw was because of the time of year we were there, or just because that’s an island thing. A cute little neighborhood drive in one of the small towns that dot the coastal drive. Heavy clouds and the sun trying its best to peak though. 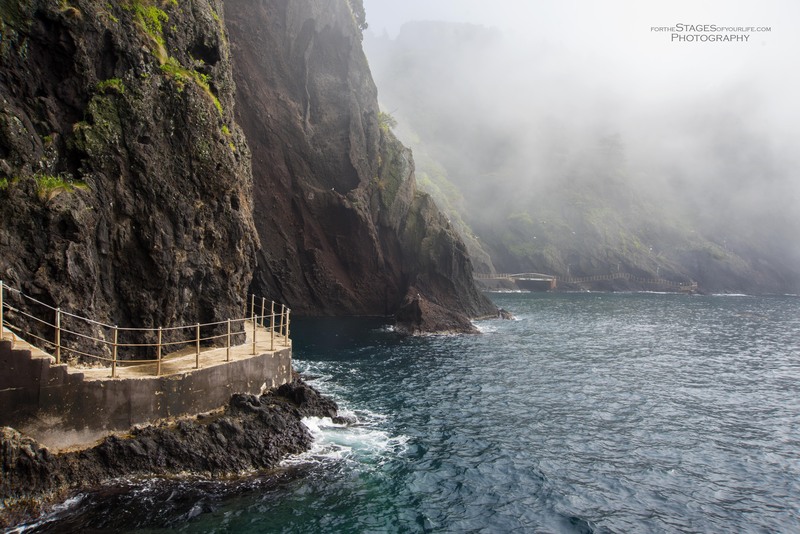 If you Google Ulleungdo you’ll find many photos of the coastal walk (Haengnam Seaside Walkway) as it is a must-do while on the island. We arrived around 9 in the morning so the sun was already too high for epic photos. Still, the fog that was still there at that time made for a neat shot. Here are a couple more photos of the coastal walk. I really couldn’t do the scene justice with my camera. I need a polarizing filter BAD. Along the walk we came across goats! Who knew? 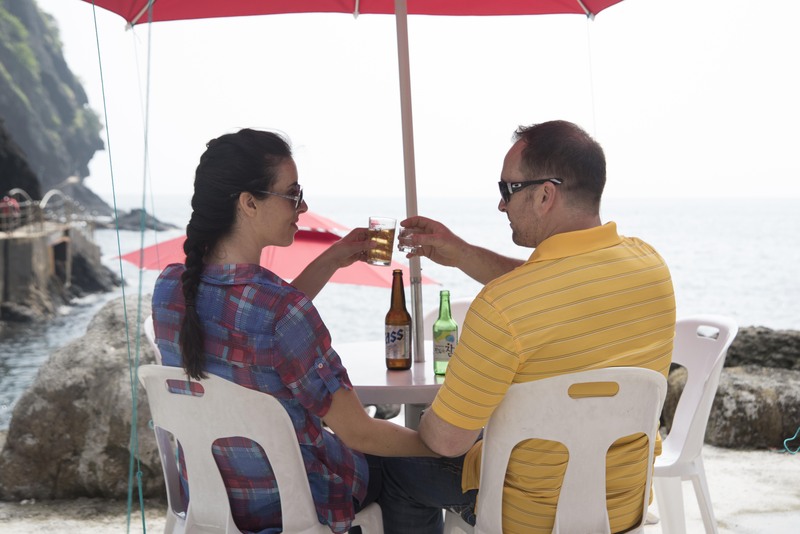 Before we headed back to the mainland we enjoyed ourselves at a little restaurant along the coastal walk, soaking in the sights, smells and soft Korean beach music playing over speakers. If you’re daring, try the seafood pizza here. It’s delicious and doesn’t taste seafoody at all! 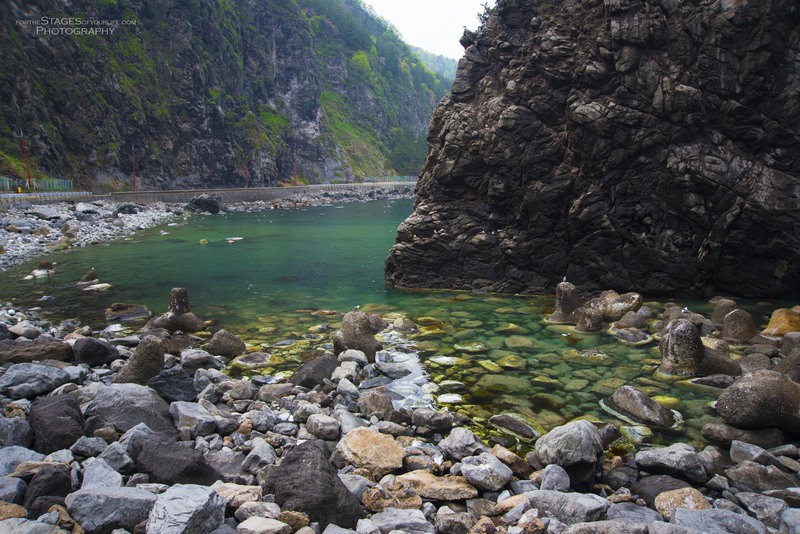 Ah, this makes me wish I could back in Korea exploring it some more! Great blog post! Thank you! It was a wonderful experience! Wow. I want to go, and I want it to be misty. Gorgeous photos! Thank you so much! It was a wonderful place!